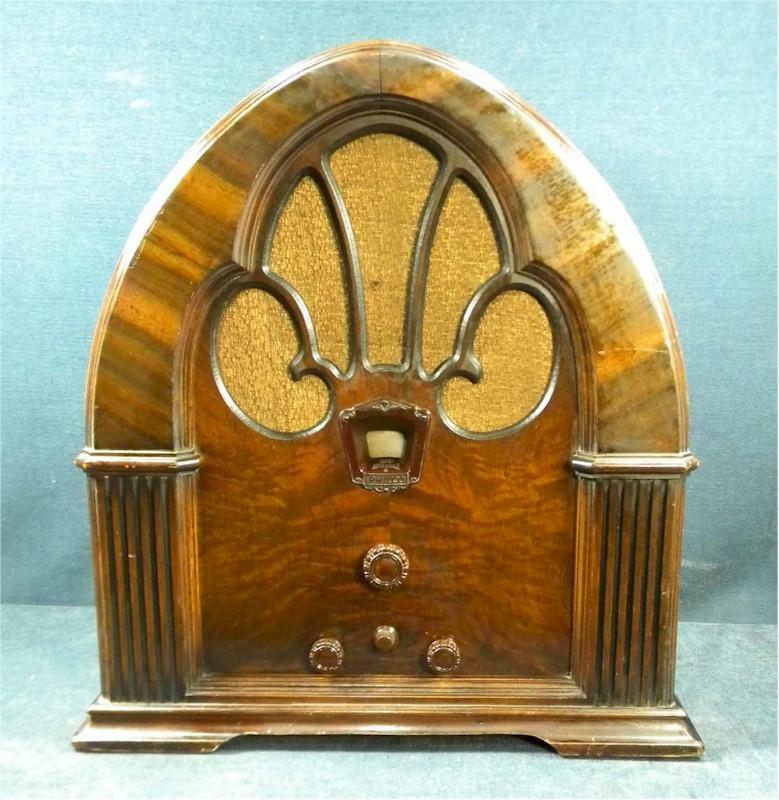 Long recognized as THE classic cathedral radio, the Philco 90 is a beauty. Designed by the famous Edward Combs, the "90" was the very top of the line. This nine-tube powerhouse is a tremendous super-het. This is a model C, the latest model that included automatic volume control. The condition is super, and it has all the factory-installed parts and a replacement dial. You might note, this example is a rarer cabinet fashioned from the finest American walnut. My technician has done a complete and perfect repair. The radio plays loud and clearly with an excellent level of selectivity. The radio has a fine silk reproduction replacement cord with a new Bakelite plug for your safe use. This radio has the size of the "Grand Cathedrals" at 19"H x 17"W x 12"D.
You are visitor number 2,702 to this page.